Beyonce hairstyles are among the most talked about things on the internet, and this is more so after the launching of “Lemonade”. She has been in the limelight for many years, and apart from inspiring millions with her talent in music she is also always setting trends with her hairstyles. 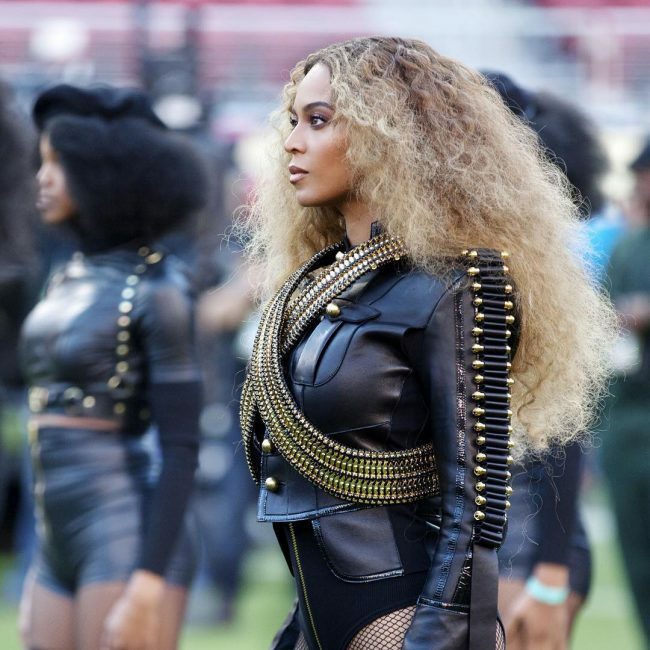 The texture and length of her African American hair give Beyoncé the freedom to wear anything she wishes. Below is a collection of 50 of some of her all-time best hairdos. The volume of these long locks is fascinating, and it helps to create a simple but very stylish headdress. Apart from the excellent volume the curls also have an incredible brown to light brown ombre dye job, and so all that she needs to do is push everything back to create a refined look. These long tresses have a modest cut just to give them some texture and uniformity. And so the lovely brown sombre color design and the side part styling are what makes this a classy hairdo fit for a celebrity. Beyoncé would still look charming even with an inch of hair on her head. 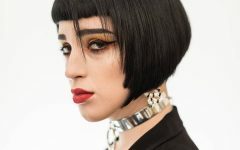 In this design, she goes with a short bob haircut, and she still looks amazing. The bob has some short wavy strands and a lovely brown shade, and she only needs a center part and to sweep it into a face frame. 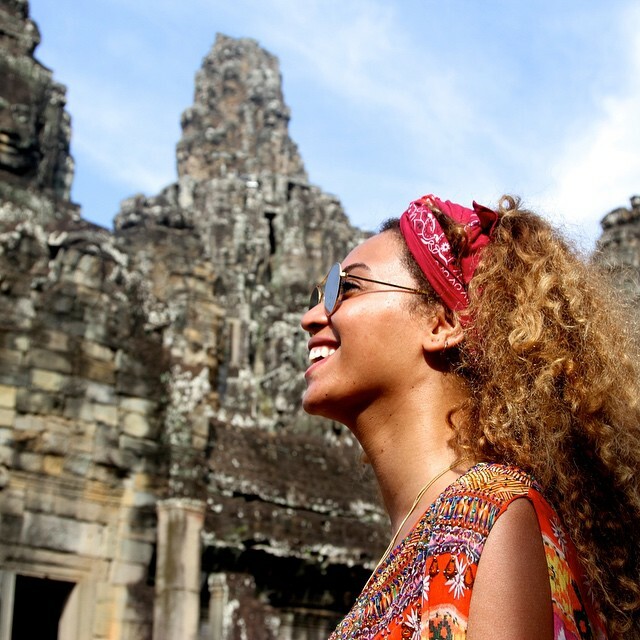 This headdress is another version of the short bob that Bey likes to wear. Here she has her usual center part and face-framing bob, but it also has some darkened roots and brushed out curls that make it look very distinct. Even if Queen Bee goes all natural, she still looks magnificent, and this style is enough proof of this. Here she has some long tresses with moderate trimming and no artificial colors. However, she has a very inventive face frame styling that involves sweeping her long locks to the sides in layers. 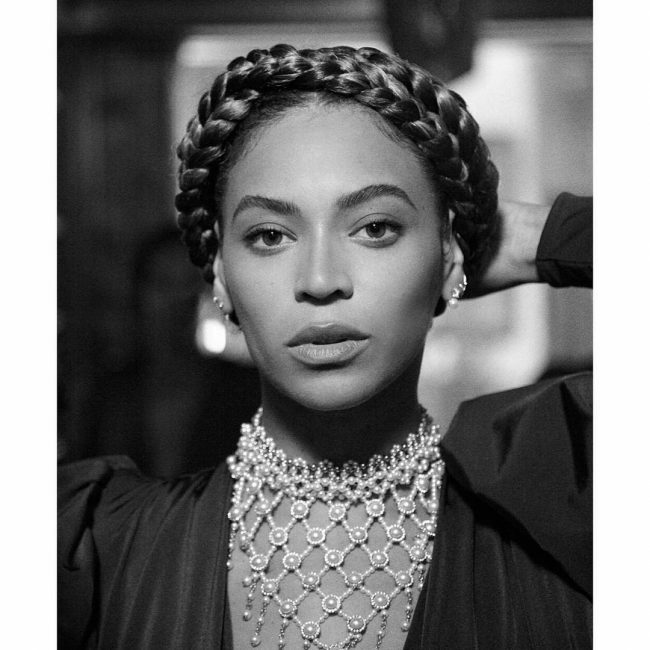 Every queen deserves a crown and in this style, Beyoncé creates hers with a braid. The chunky twists are perfect and impeccable, and they give her a very classy updo design. Her hair color and healthy shine also make the braided crown look top notch. The simplicity of this headdress is what makes it amazing. It is as straightforward as it can get and all that she needs is to flat iron her strands to make them straight and smooth. However, she also has a lovely color and shadowed roots that she exposes with a center part. 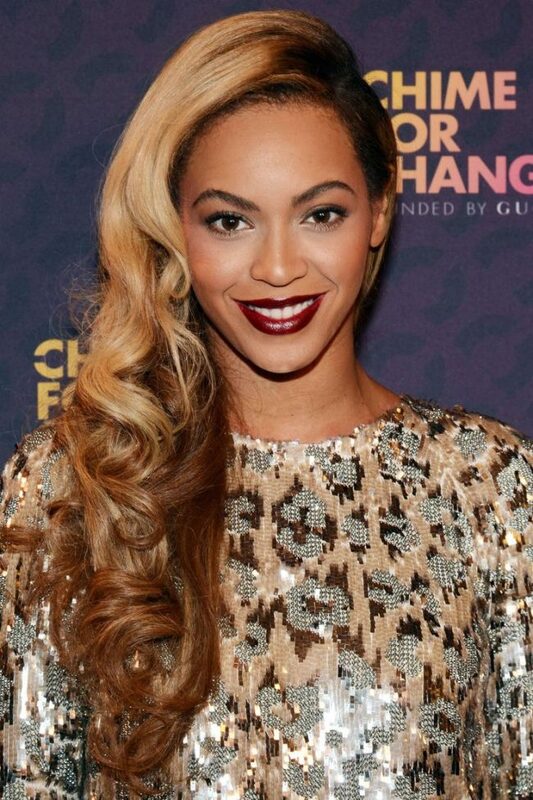 Chocolate brown is a beautiful shade and in this style, Beyoncé uses it to add some class to her long straight locks. The color gives her all the beauty she desires, and so a simple ponytail style is enough just to control the flow of her long locks and to add some style to the look. This hairdo will show why every woman dreams of having long hair. It is also very simple to create because the length of her hair and blonde color do all the magic. All that she needs to create this refined look is to brush back all her strands and then weave them into a French braid that she finishes with a fishtail. And to style it, she only has to push it over her shoulder. One can never go wrong with a lovely golden blonde hue on your hair. In this design, it makes all the difference because it makes the long locks dazzle and it also has a very classy look. And so a simple style like a tight ponytail is enough to make her look very fashionable. 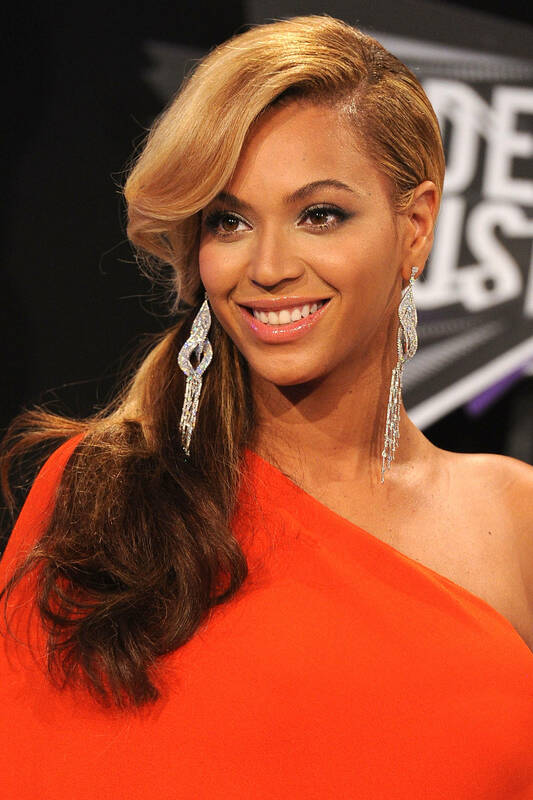 If you like keeping long locks, this is a simple Beyoncé hairstyle that you can replicate. All that she does is tousle her long wavy strands with some gel and then style by giving them a center part. However, the strands also have a lovely color that is a sweet blend of brown and blonde. Bey never seems to get tired of bob haircuts, and this is rightfully so because they not only look good on her but she also knows how to style them right. In this particular one, she has a slight asymmetry that comes from making one side of her swirly strands longer than the other. She then finishes the style by creating a center part and sweeping her locks into a face frame. The shine and smoothness of these long locks are incredible, and it will make any woman look exquisite. Even with such a lovely hair Bey still has a way of taking her appearance a notch higher. And she does this by giving the strands a center part to expose her dark roots and then pulling everything to the back where she finishes with a ponytail. 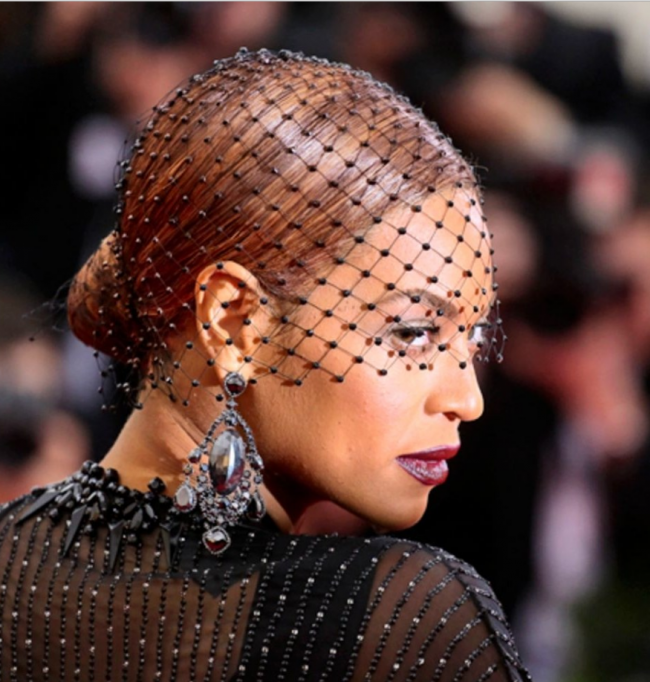 In this headdress, Bey creates a very stylish updo style that helps to control the flow of her long locks. She has a smooth straight hair with a perfect color, and so all that she needs to create this design is to pull it into a tight and neat bun at the center of the head. Beyonce has a way of making simple everyday hairdos look very exquisite and this slick back design is a perfect example of this. There is nothing fancy about this style because she only relaxes and brushed back her long tresses. However, the hair has a lovely tone, and it is also quite shiny, and this makes the design look very fashionable. The locks in this style are very natural, and they do not have any intricate styling or cuts. All that she does is to tie them with a beautiful headscarf and leave them flowing naturally to the back. However, the brown shade of the long curls also makes them look adorable. 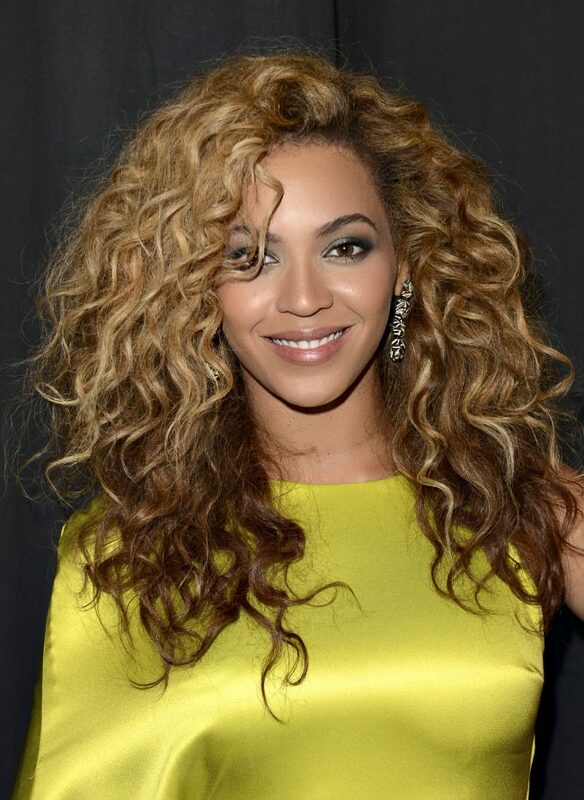 A blowout may be an everyday hairstyle, but Beyonce still manages to make hers look unique. She gives it some subtle waves on the lower section but her strands also have an excellent volume that enhances the overall look. 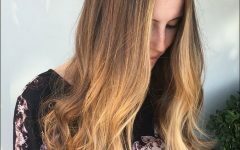 The center part and the fabulous chocolate ombre color pattern also add to the beauty. 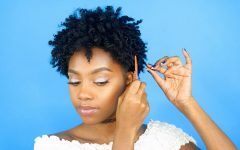 Here she uses some Brazilian extensions to create a magnificent hairdo, and very few people will be able to tell that it is not her natural hair. 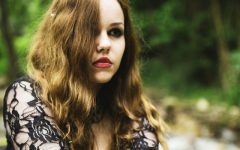 The strands have some lovely loose curls and a perfect color, and so she only needs to give them a wind-swept design to make them look elegant. 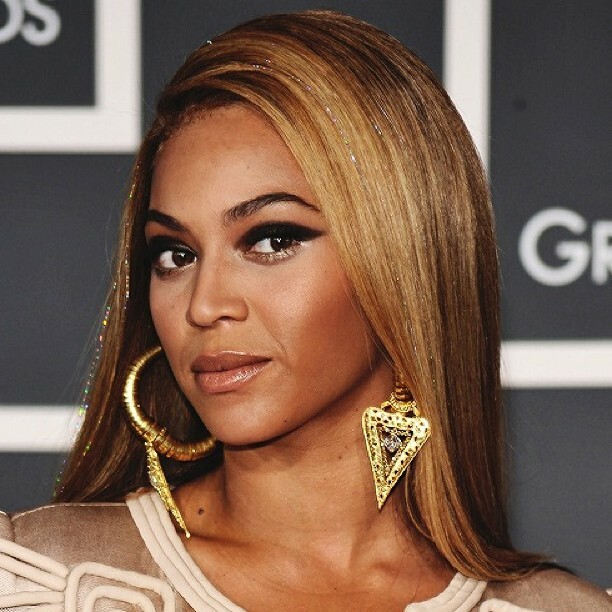 Beyonce redefines the short bob in various designs because each time she has one, it always looks different. For example, this one is chin length, and it hugs her face perfectly to bring out all her beautiful facial features. She also gives it a charming light brown tone with darkened roots, and this also adds to the beauty. In this design, Bey goes with a longer bob than her usual styles, and it still looks amazing on her. 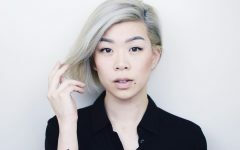 It has a perfect light blonde shade with slightly shadowed roots, but the blunt cuts and the face framing design are what make it stand out. Queen Bee has a lovely long hair with a perfect texture and volume, and this gives her the freedom to wear anything she wishes. In this style, she goes with a formal updo headdress that she creates by pulling all her strands to the center of the head. She then styles it into a high top bun, and she also leaves a few locks hanging over her forehead. This headdress is one of the easiest that you can create if you have some long curly locks. All that you need to do is to form a side part and then sweep the locks sideways. 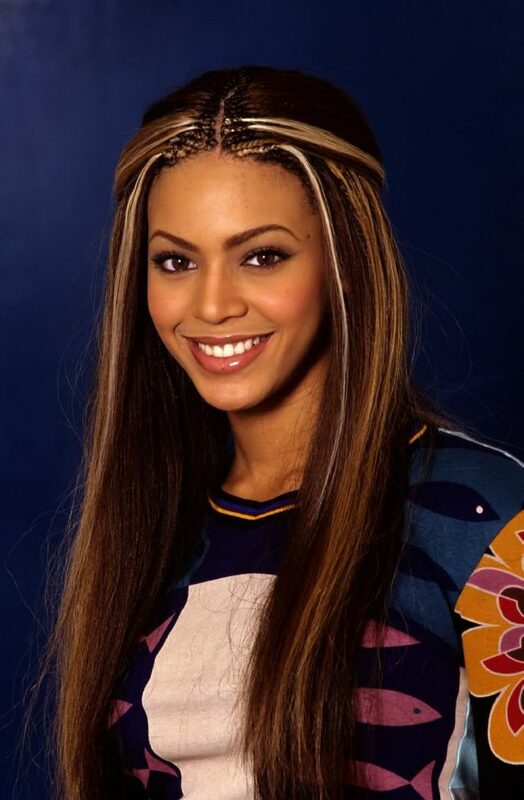 However, Bey also gives the strands a lovely brown ombre shade and darkens her roots to add some elegance to the hairdo. Curly locks could not look better than this as they have everything that defines a beautiful hairstyle. The curls have a natural dark brown shade and an incredible length, but their simple styling with a side part and a face frame also make them charming. This headdress is another example of how perfect curly locks should look. The curls on this design also have a very natural looking brown shade. However, their afro like styling is what makes them look distinct. Beyonce has no limitations when it comes to hairdos because she can wear a retro design like this one and still look fashionable. And like with all her hairdos she takes it a notch higher, and she does this by introducing a side-part line and by layering the locks to the sides. 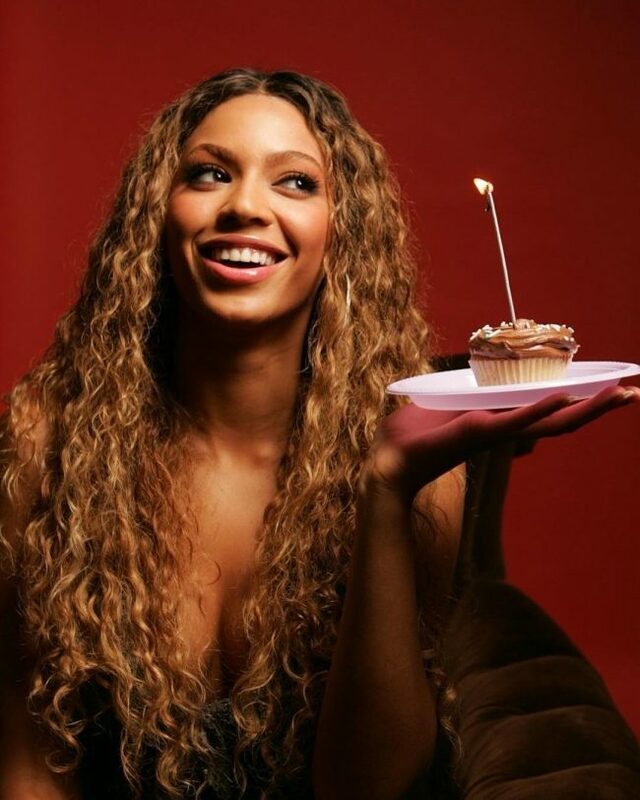 The reverse ombre design in this style that involves transitioning drastically from light brown to chocolate gives Beyonce's' hair an amazing tone. However this is not enough to create an elegant headdress, and so she still needs to style it inventively, but the stylish side sweep is enough to make her look adorable. This hairstyle is very versatile because you can style it many ways and it also makes Bey look very radiant. The long blonde waves have a startling shade that goes perfectly with her skin complexion. Her loose curls add some life to her appearance, and if you can replicate it, you can be sure of an elegant hairdo. These coppers curls add some texture and volume to the Queen Bee's appearance, and they also make her look very trendy. They also help to create a very sassy hairstyle, and if you want to replicate it, you should make sure that you get the center part right. And this is because if it is on one side, the curly locks will not have their beautiful symmetry. The glow on these strands is amazing, and it shows that Bey has a very smooth and healthy hair. Her styling is also on point, and it involves brushing back her strands smoothly to the center of the bun and wrapping them into a bun. She also creates a neat braid and wraps it around the bun to make it look stylish. Color also works for Bey and in this design, she uses multiple shades to make her long tresses look amazing. She has some perfectly textured locks with a simple side part and side-sweep styling, but the introduction of the green pastel on the lower half of the head is what gives her a distinct look. This hairdo shows that Beyonce can still look good with a formal design. She has a simple updo style that involves pulling her strands to the center of the head and then rolling them into a high classic updo design. Although she makes it impeccable, she still has a few loose locks with a center part at the front to create a simple face frame. Any woman who can grow out her curly hair to this length should wear this headdress. 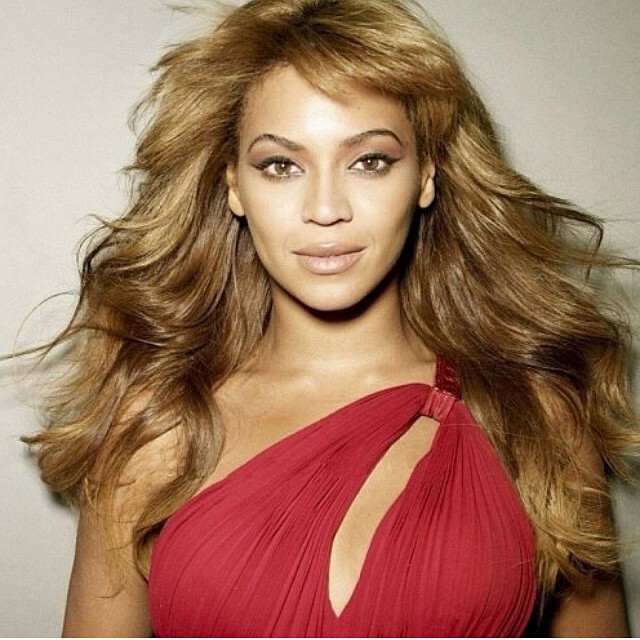 It is a typical Beyonce design with some long free flowing curls and a simple center part. However, the long tresses also have a lovely dark brown to light brown ombre color. In this style, Bey creates a lovely topknot, but she makes it look a little bit exaggerated and old school. She does this by making it bigger that the common topknots and by extending it to the front of the head to appear as if it is hanging over the forehead. You will not have any difficulty replicating this style if you have an oval face shape and a youthful appearance. As simple as it may look it will still give you a pleasant and vibrant look if you also have some soft light brown strands like Bey. 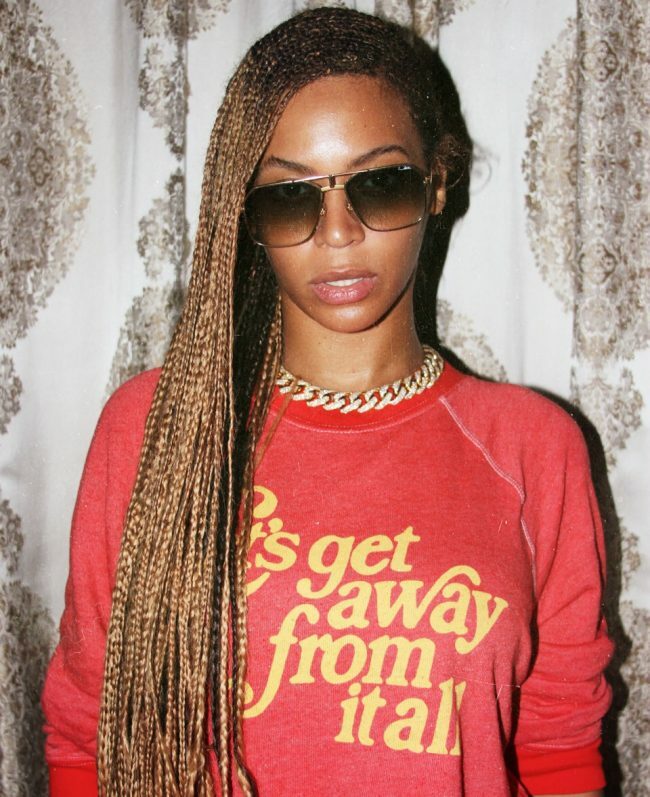 These cornrows are impeccable, and they make Bey look stunning. The precision in weaving them is also amazing, and all the braids are very uniform in size. She also uses some artificial strands to add some color to the design. However, this headdress will not work for ladies with extended foreheads as it will make it more visible. Beyonce proves that you do not have to overdo anything to create a magnificent headdress because you can still look exquisite by keeping things simple. Everything from the color, cut and styling in this design is straightforward, and any woman can replicate it effortlessly. An updo does not always have to be a formal hairdo since you can still have one as your casual wear. 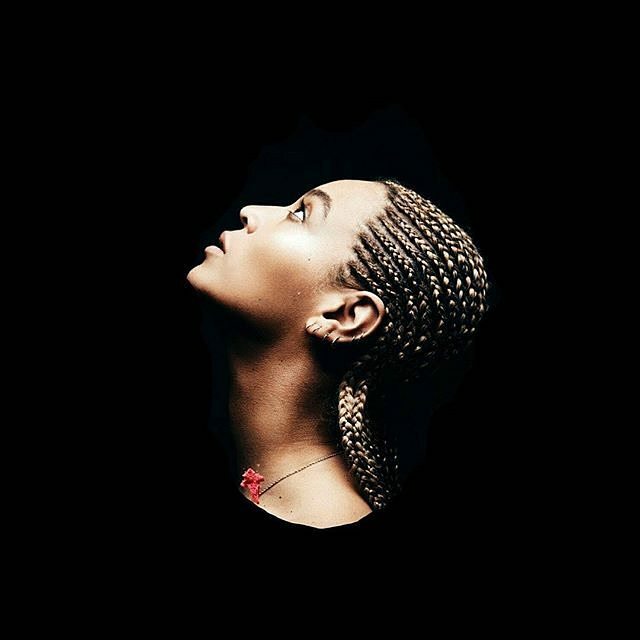 In this design, Bey braids her strands to create a long French braid that she finishes by sweeping over her shoulder. However, she makes it loose and maintains a curly look at the top to create a charming casual updo headdress. The massive bun in the design is very simple, but it still creates a very refined look. Rather than just brush your strands to the center of the head to create a bun, you should also give it a twisted design. The twisted design will add some beauty to your hairdo and ensure that it does not look very ordinary. 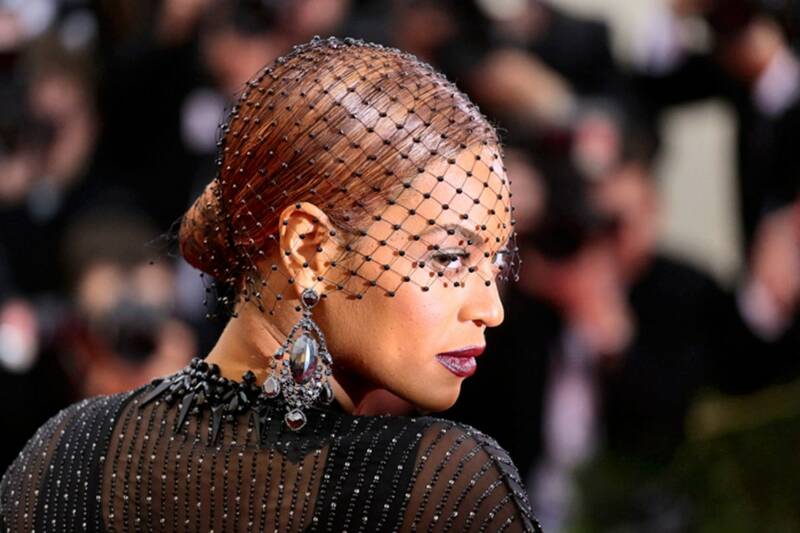 The shine on this hairdo is amazing, and it also brightens Beyonce's face to make her look even prettier. However, the style would not be complete without the classy color melt between brown and blonde. The styling is also excellent, and it involves creating a soft side part and then finishing by brushing the straight locks to the sides. You can never have enough of the sweetness of chocolate brown, and if you use it well like in this design, it may be all you need to create a polished look. Queen Bey uses this lovely hue to give her strands an incredible tone, and this makes things easy for her because all she needs to do is to pull them into a straight ponytail to create an adorable style. This hairstyle is neat and clean which makes it perfect for an elegant and classy woman. It is also very easy to create with medium or long straight strands. To wear this hairdo, you only need to create a soft center part, brush the strand back and then tie them into a simple pony. However, you should also have a bright tone such as blonde or light brown. Hair like this one will turn heads everywhere you go because it is not only elegant but also very fashionable. It is perfect for ladies with gentle waves because all they need to do to create it is to trim their strands for some uniformity and then style them into a face frame by creating a center part. 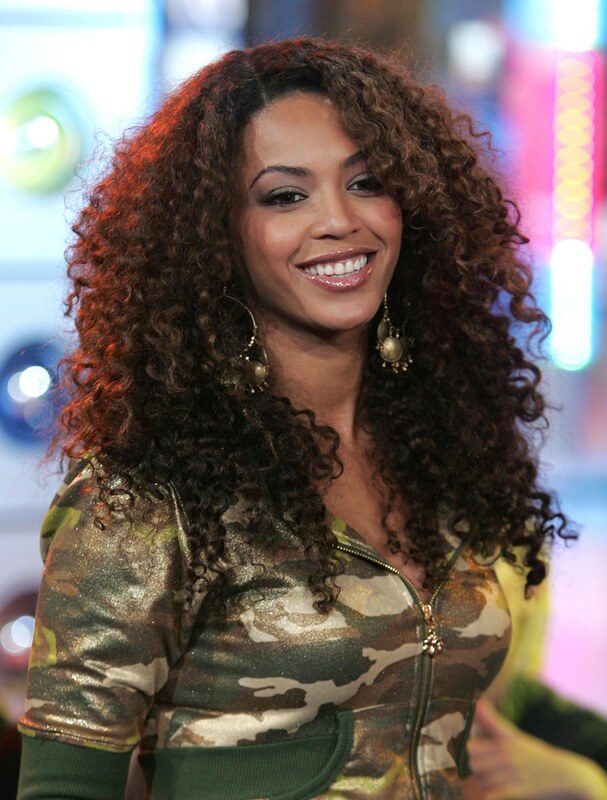 Bey is very bold when it comes to hairstyles, and she is always willing and ready to try new things. In this style, she goes with a neat and low chignon but the stylish net that she uses to accessorize it is what makes her look unique. A perfect hair like this does not need any complicated styling or coloring because it is already charming enough. All that Beyonce does in this design is to create a subtle side part and then sweep the locks to the sides in smooth layers while still maintaining their wavy look. 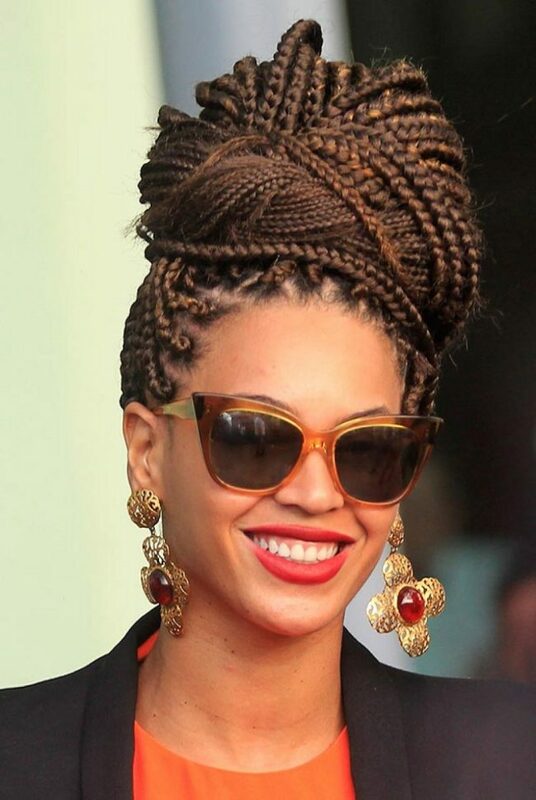 This hairdo is all about twists and Bey creates them in different sizes. They are also neat but instead of leaving them to flow to the back or sides she pulls them to the crown. 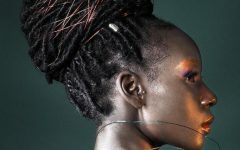 She then rolls them into a massive braided bun to create an elegant headdress that any woman with long hair can replicate. If you are always trying to imagine how Queen Bee looked in her younger years, then this style will show you what you need to know. It is very evident that she still had a good fashion sense even as a young girl. Here she has some extra-long braids that she creates from the side and then leaves them to flow freely over the shoulder. These braids are very inventive, and they will make a woman look very stylish. To create them you will only need to weave the strands on the roots and then leave the rest of the hair free. You should also have a center part to expose this design. The color is also vital, and a chocolate brown with blonde highlights is perfect. 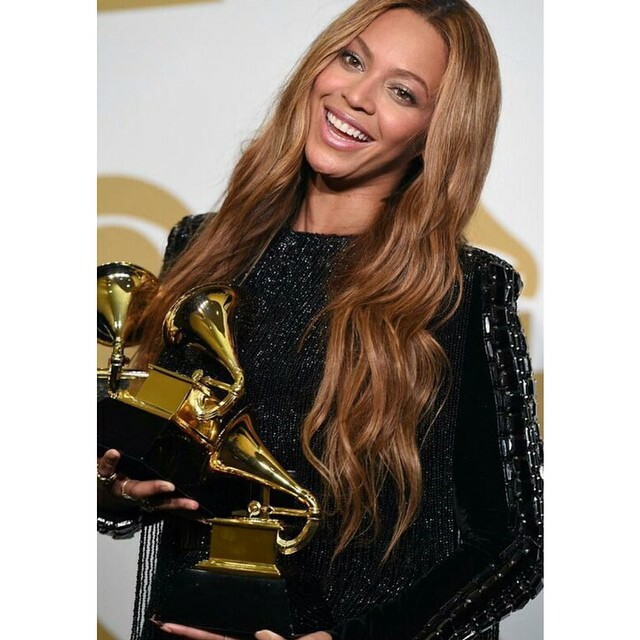 This straight ombre hair makes Beyonce look very classy. The design has some lovely side-swept bangs that accentuate her face to make her look gorgeous. Apart from this, the contrast that her blonde hair creates with the darker ends makes the design look very radiant. Every mature woman deserves a sophisticated headdress like this one. It has a smooth upheaval at the front that it lengthens the face to make it look adorable. You should then leave the rest of the straight strands to flow to the back to create a simple but unique hairdo. Curly bangs are very adorable, and they offer you many styling options. Beyonce uses them to create a retro look in this design. And she does this by pulling them to the center of the head into a loose but stylish updo. Beyonce hairstyles come in all shapes and sizes because she is likes trying out different looks. And so if her past hairdos are anything to go by it is only right to expect fancier and more elegant styles from her in future. 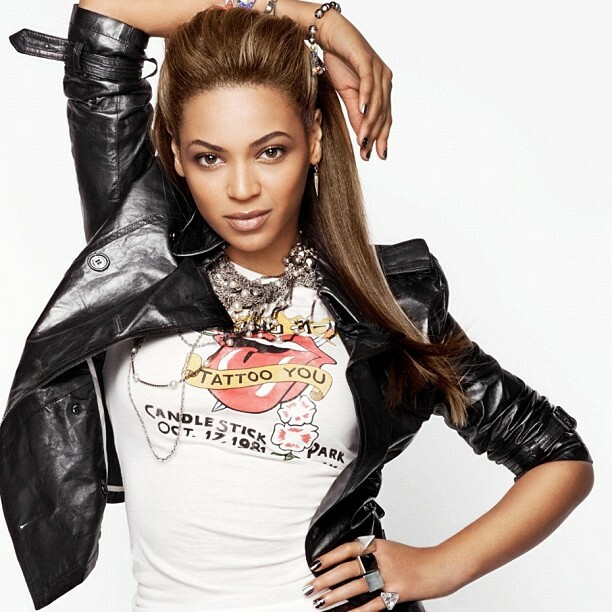 The 50 designs above will give you some ideas on the styles you can wear to look as charming as Bey.